Following the success of “TOCSIN BANG – The Cold War Story of the Royal Observer Corps”, we have now also produced a programme charting a different period in the history of the Royal Observer Corps. The Observer Corps was formed in 1925 to give an early warning of any airborne attack of London. Following exercises over Kent, with a control room in the Post Office in Cranbrook (see Cranbrook today), two “groups” were established with Headquarters in Maidstone (No 1 Group) and Horsham (No 2 Group), and a network of 43 aircraft observation posts were set up across Kent, Sussex and parts of Surrey. Following this, the network of posts was gradually expanded to cover more and more of the country and by November 1926 two more groups with Headquarters in Winchester and Colchester had been formed. This progress then slowed considerably, until in 1935 the Boyd Committee recommended the more rapid expansion of the Corps due to the worsening of the political situation in Europe. This decision meant that by the outset of war, the Corps’ network covered a large part of the country. 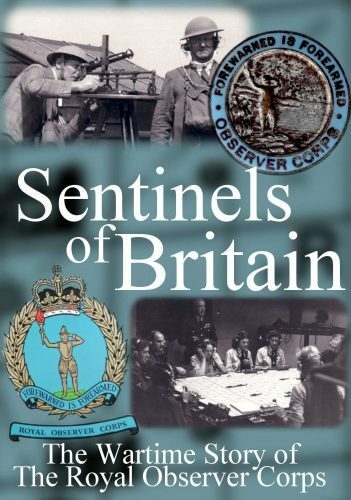 In 1940, the Observer Corps’ biggest challenge yet was in the Battle of Britain, tracking and aiding the interception of vast numbers of enemy aircraft. The success of the part they played can be gauged by the granting of the “Royal” title by George VI in 1941. 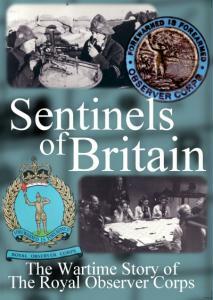 The work of the Corps continued throughout the war, saving many lives with the early warnings of air attack, but many members of the Corps were keen to be more involved with other activities, closer to the action, and when the call was made for volunteers to join gun crews onboard defensively equipped merchant ships (DEMS) 1400 men volunteered. Those that passed the rigourous testing and training were known as “Seaborne” observers, and were involved in “Operation Overlord”, saving many aircraft from “friendly fire”. 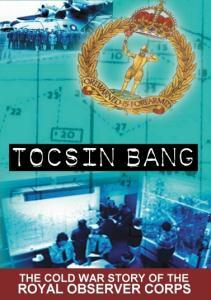 As with TOCSIN BANG, we tell the story of the Corps through the eyes of those who were there, the Observers who stared at the skies, the Operations Room crews who plotted the aircraft and passed the information to the RAF, and the people who were aided by the work of the Corps. Meeting and recording the memories of many fascinating people is one of the highlights of making these programmes, and the interviews we have recorded have all proved to be every bit as fascinating as we had hoped. Amongst the many stories are personal wartime experiences that would otherwise have never been told. The site of the operations room for the first Observer Corps exercises in 1925, situated in Cranbrook in Kent. 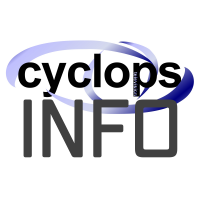 Cyclops is very grateful for all the assistance we have received from a great many people and organisations.